Setup only takes one minute. No credit card required! 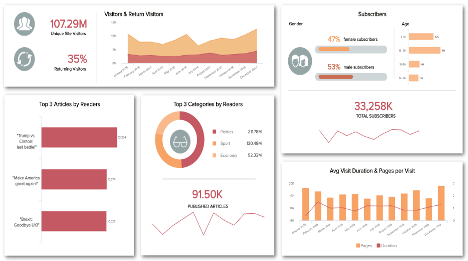 An IT dashboard is an effective reporting tool to track individual IT metrics in a convenient way. It helps IT professionals to stay on top of their IT projects and reach important milestones just-in-time, manage tickets and issues efficiently as well as to keep track on all relevant IT costs in detail. 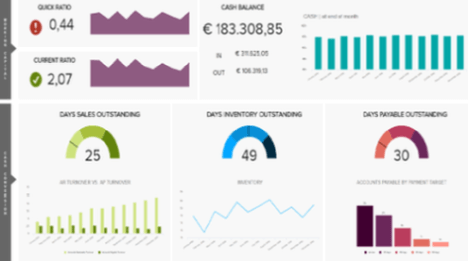 Let's take a look at these 3 IT dashboard examples: IT Project Management Dashboard - IT Issue Management Dashboard - IT Cost Dashboard. Over the years, technology has evolved from a support service to a driving force in most companies, and sometimes as the core of a company. Regardless of the industry, if the Chief Information Officers (CIOs) want to deliver more value and have a greater impact, they have to align with the company’s strategic priorities. 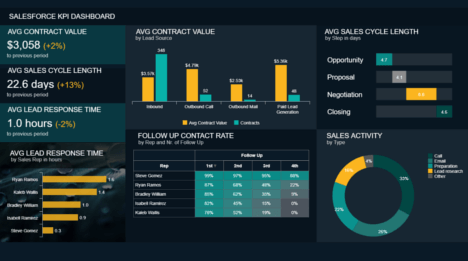 And to do so, IT dashboards are a great tool. 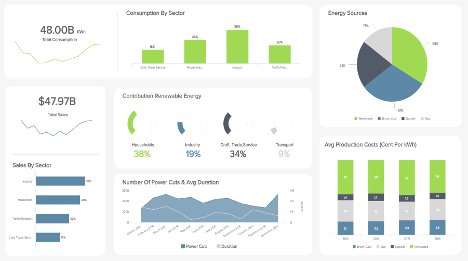 Our first IT dashboard is related to project management, and tracks every step and task necessary to carry out the project. The banner at the top tracks the evolution and progress of the project, from planning to delivery. 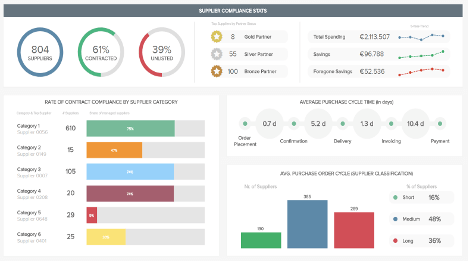 The team is currently on stage three, developing the product and 67% of that phase has now been completed. All the lights are in the green as they are on time according to what was initially planned, to deliver their project on December 15th, in 107 days. 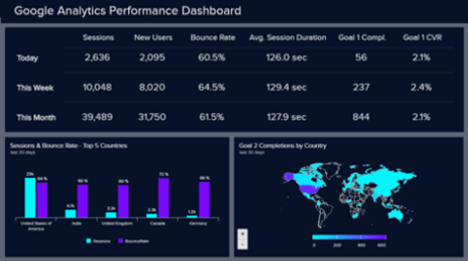 The second part of our IT dashboard is divided into four KPIs (Key Performance Indicators). 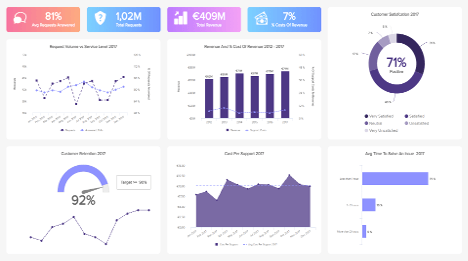 First of them is the budget, displaying the total budget that was allocated to the project, the current target value at this stage, and the amount that was used at this date. 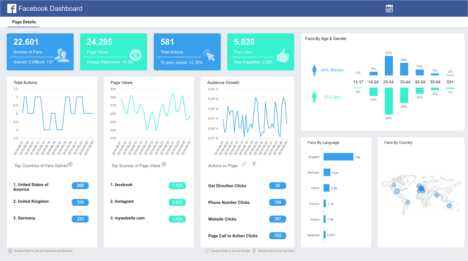 It is important to track this KPI to know if you are able to deliver your project with the resources you have, and within certain limits. We can see here that it has already been overrun by 8,1%: it might be interesting to investigate the reasons of such overrun. Is it due to a bad planning, or wrong estimations? Were there a lot of unexpected events that occurred? Often enough, budget and time are a trade-off, and in order to hand a project on time, going a little over budget might be a not uncommon. Likewise, if budget is calculated really tight, the delivery often can be delayed. 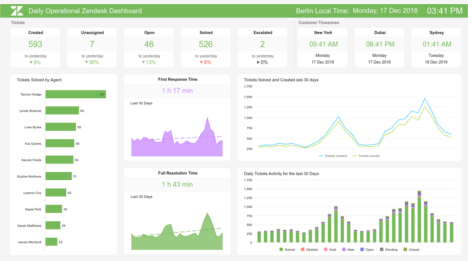 Second KPI on our IT dashboard template are the tasks overdue. 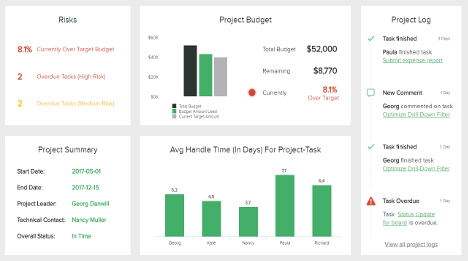 Tracking each of the tasks that you planned is essential to deliver the project on time. Assign a deadline to each of them so that the whole planning can be run efficiently, and the rest of the tasks can start, too. On our example above, we see four overdue tasks, the most critical being the relational database connections that is delayed by 24 days. Following the example of the budget overrun above, you should investigate the reasons behind such overdue and address the potential issue your employees are facing: not enough resources in their hands? The time to handle the task was underestimated? They had too many deadlines at once, which delayed them automatically? Finding the reasons behind overdue tasks may unearth deeper problems that can block the good functioning and general management of the project but also of the team. 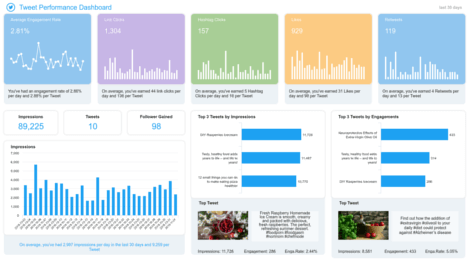 The next indicator on our IT KPI dashboard is directly linked to the previous one. The workload on each employee’s shoulders will inevitably affect their work and ultimately, their capacity to stay within deadlines. Here, Georg has the highest workload of 67%, and is at the same time the most delayed with a deadline for the relational database connections, overrun by 24 days. 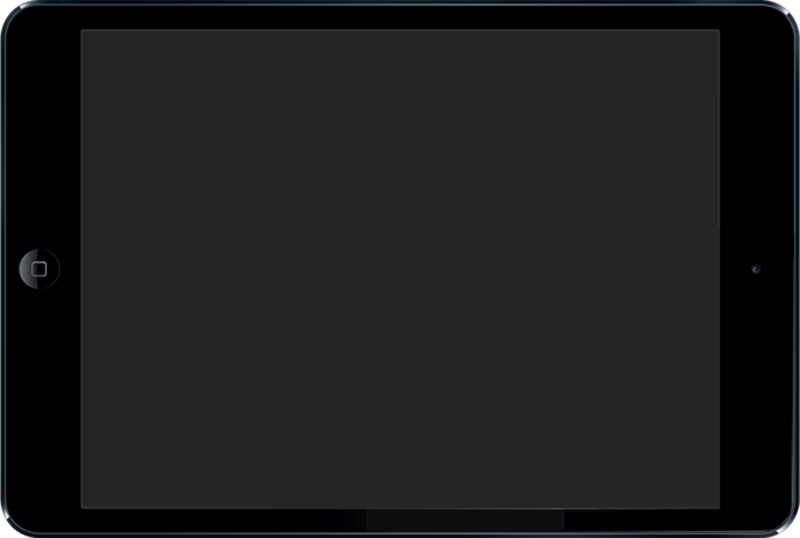 It would be interesting to know what are his struggles and maybe allocating one of his tasks onto someone else, to ensure a better progress of the project. 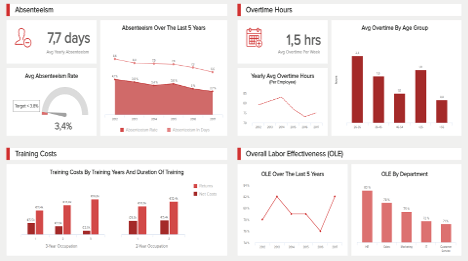 Finally, the last element on that IT dashboard template is as well related to the previous ones since it displays the deadlines upcoming per employee and relative to a certain task. 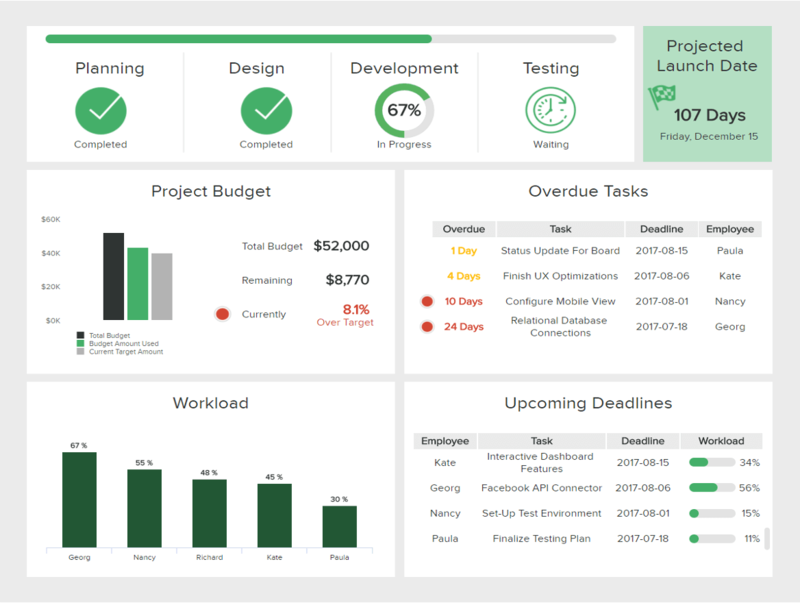 That indicator will also help the project manager to have an insight on his team’s workload and ability to meet deadlines. 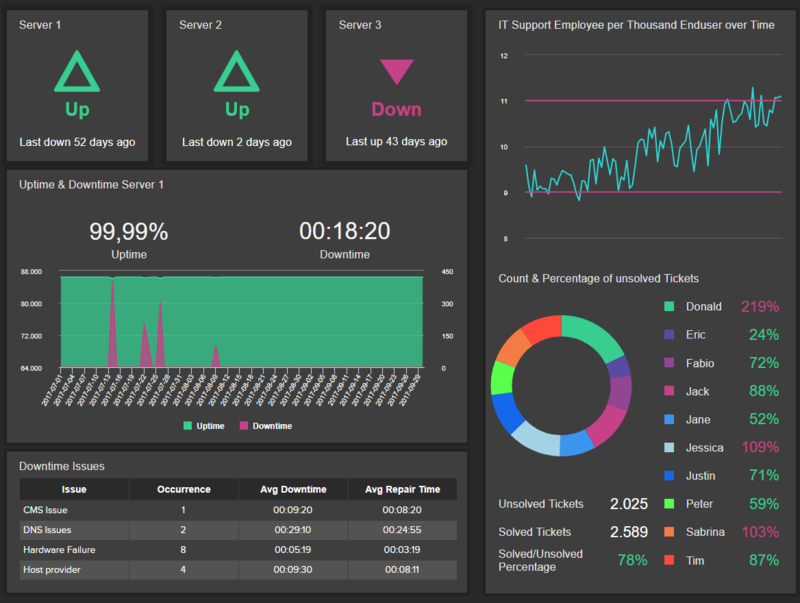 The second of our IT dashboards is focusing on the general management of more technical issues. 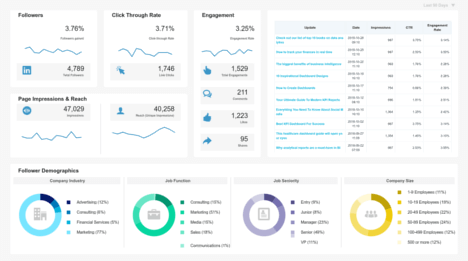 As the IT leader of your company, such dashboard is crucial. 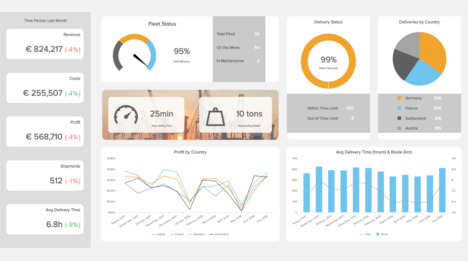 Tracking the system indicators that look at problems lets your staff know how often they are happening and in which quantity; that helps in maintaining a robust system performance. 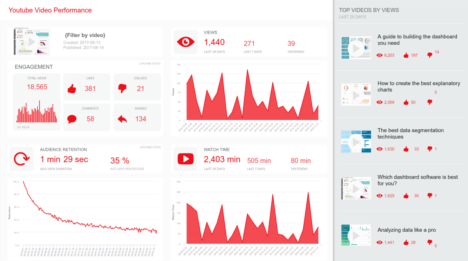 This IT dashboard example looks at three servers’ performance and tracks their activity in real-time. We see that one of them is currently down, which needs to be addressed – or not. Indeed, server downtime is not always due to an unexpected problem, as it can also be planned so as to operate some maintenance. Planning downtime for maintenance, updates and reboots is essential to the proper functioning of your systems. When it is unplanned, however, that can become tricky and trigger a lot of other problems: this is why it is important to have a plan already in mind in case of unexpected downtime and steps to follow, in order to answer quickly and efficiently. 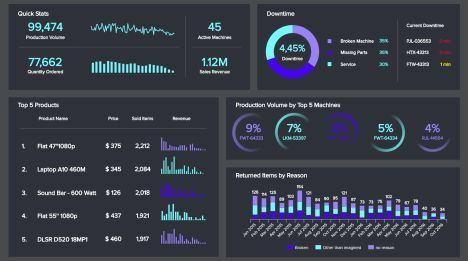 Having an uptime over 99,9% is the goal to reach for a well-functioning infrastructure – and our IT dashboard template shows an uptime that exceeds this target. Tracking the number and the type of issues is another important best-practice to follow. Witnessing recurring problems can reveal a bigger one, that is rooted in the system. Knowing what they are and how often they happen is hence healthy and useful to improve the general management of these issues. Having an idea of how long is the downtime also gives an idea of how quick and efficient your teams are at addressing the issues. Finally, it can also become a target-time that you want to reduce over time. 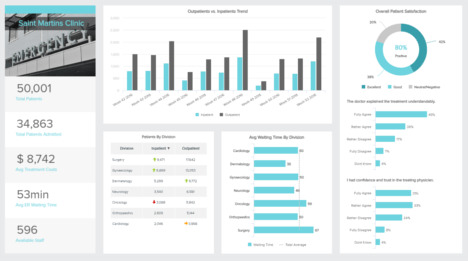 The second part on the right of that IT dashboard example focuses more on the team members and their ability to resolve issues that are submitted to them. The top chart shows the number of IT support employee per thousand of end-users, and its evolution over time. They set a target zone between 9 and 11, and the trend line is now reaching the upper part: that means that they will need to hire new support workers if they want to keep a high quality of service, and avoid their current staff to become overloaded with tickets. We can see on the lower chart how each worker is individually performing regarding the tickets they receive. Three of them have a bad ratio of solved tickets compared to unsolved, starting with Donald who has a 219% ratio. That means that the amount of unsolved issues is much higher than the tickets he has solved. Once again, investigating the reasons behind such a poor score can reveal underlying problems that should be addressed: does the agent lacks training? Is he or is she struggling with a particular issue to fix? Try to identify the reasons behind everyone’s score can help you increase their performance in the future. 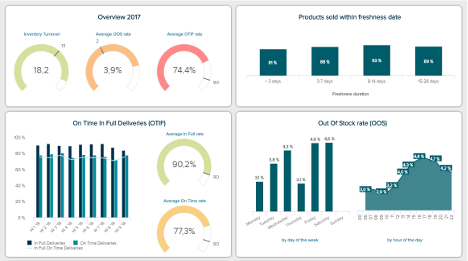 Our third and final IT dashboard example is focusing on the costs management over a year, and takes a closer look at the month of July 2017, and is split into four different KPIs. 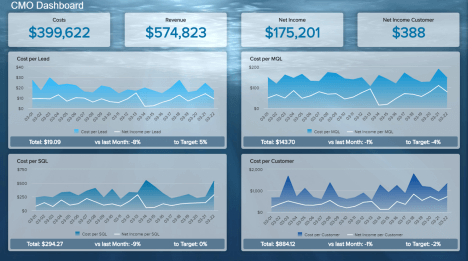 First of them compares the evolution of the Return on Investment (ROI) over a year, and compares it to the previous month. July has outperformed June by 1%, with a ROI of 153,26%: that means that for each dollar invested, you will receive 2,53 dollars back – and that is an excellent ROI. The goal should be to increase it over time, even if it cannot be always on the rise: sometimes, large investments need to be done but you won’t reap the fruits before a couple of month. In the meantime, your ROI will be low, but that will change later. Second indicator on this IT dashboard compares the IT spending to the IT budget over a year. Monitoring your costs compared to your initial budget gives you an overview of how good you are at controlling the expenses, but also at budgeting. There always are some unexpected events and needs that lead to higher spending, but these specificities should be taken into account when setting up the budget. Staying within original limits as much as possible allows you to have some budget aside for future budget excess. 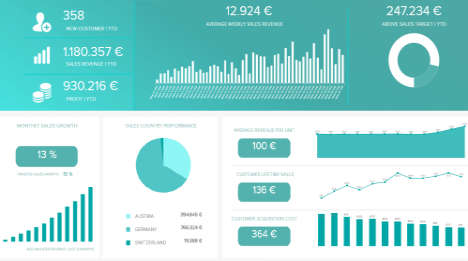 This leads us to the third KPI displayed on that IT dashboard template, comparing this time the IT costs to the revenue generated. 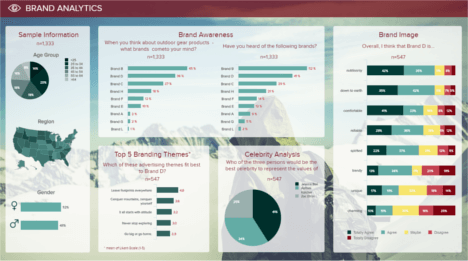 It evaluates the results of your IT activities and their success relatively to what they cost you. 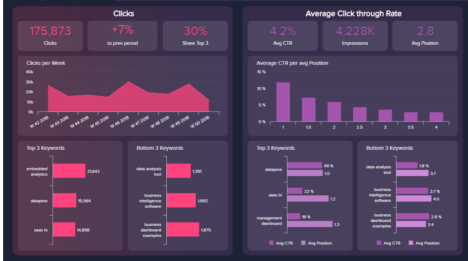 It tells a story about your performance, and such percentage ideally stays within a target range, regardless of the evolution of the revenue. 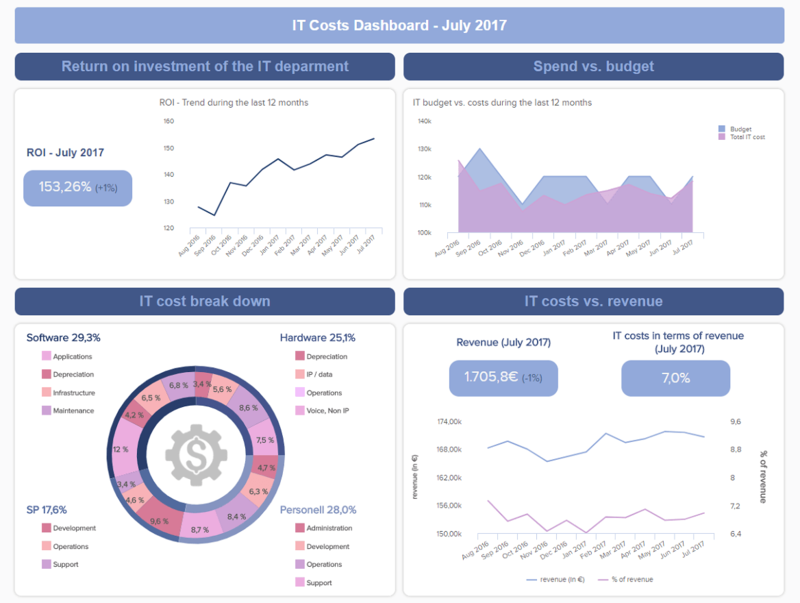 Last but not least, the final element of this IT KPI dashboard is the IT costs breakdown. It is important to know where you allocate your money and how it is used in the end: by displaying the different units (hardware, personnel, software, …) and their components (infrastructure, maintenance, etc. 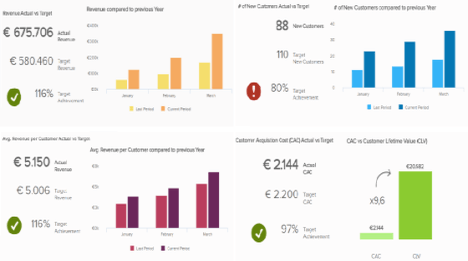 ), you can identify the main cost drivers and opportunities for improvement more easily. At the end of the day, every manager and decision-maker have to decide what helps their organization and what will bring it forward. 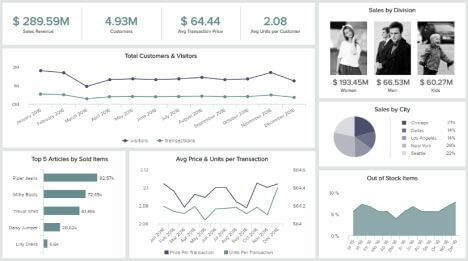 Relying on accurate data, displayed in real-time through understandable IT dashboards will give you everything in hand to make the best data-driven decisions for your business.